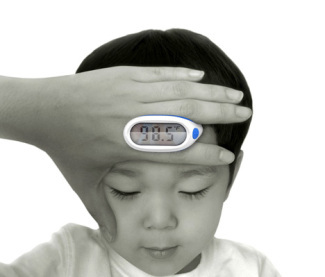 When I was little and had a cold, my mother would always take my temperature by putting a glass stick thermometer in my mouth. I never understood these, because not only did I have to close my mouth to get a reading on it, my nose was stuffed up so I couldn’t breathe out of that either! Well, now there is a simpler solution.